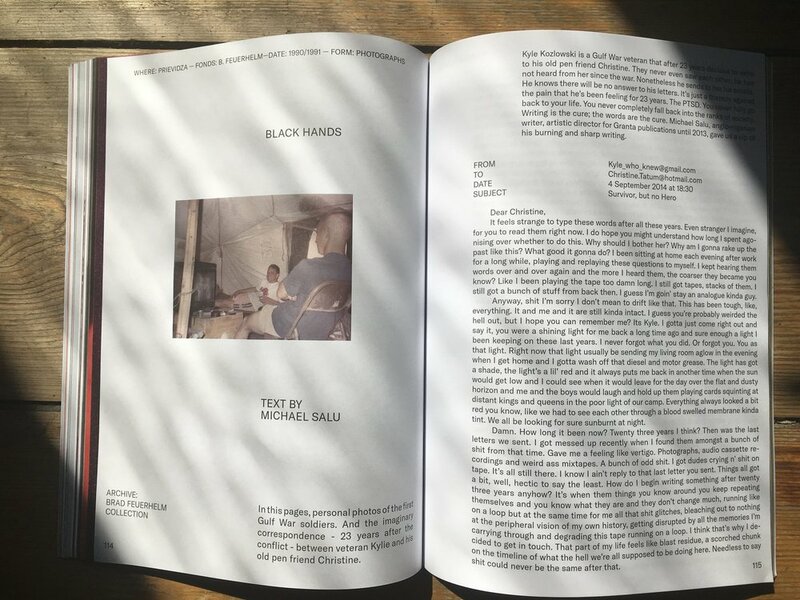 My story ‘Black Hands’ that appears in issue 2 of the briliant new magazine Archivio, has been shortlisted for ‘Best Original Fiction’ in the Stack Magazine awards, alongside work from notable literary magazines like SAND and Funhouse. The story came about as a response to some anonymous Desert Storm photographs from the collection of Brad Feuerhelm. My story is written through the voice of a gulf war vet, who, many years later reckons painfully with his resignation at the limitations of mankind and the eternal enterprise of ritual, sacrifice and scapegoat.